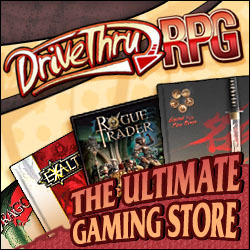 The DDT gaming team is a father and son (and friends) of long time tabletop gamers, who have decided to put our ideas and experiences together. Since the beginning days of D&D, the original boxed set, the love of pen and paper role-playing has been constant. We have played Dungeons and Dragons (every edition), Pathfinder, Deadlands, as well as modern, future, and historical games. To this day we still have a twice monthly group who games together, going on 20 years together. We hope you enjoy our endeavors here, and hope you will contact us with any questions or comments you have.